On this week's Metals & Markets Wrap we host money manager Michael Pento of Pento Portfolio Strategies. - The most hawkish Federal Reserve is now, even VS the late 1979 / early 1980's Paul Volcker regime (in which Gold was the Enemy, first thing when Volcker said walking into his Fed head office in early 1980, "What's the price of Gold?"). This go round, we now have the most overleveraged global debt level scenario of all time. - Somewhat recent $11 trillion USD borrowings in emerging markets hurting from recent US dollar strength vs other fiat currencies. 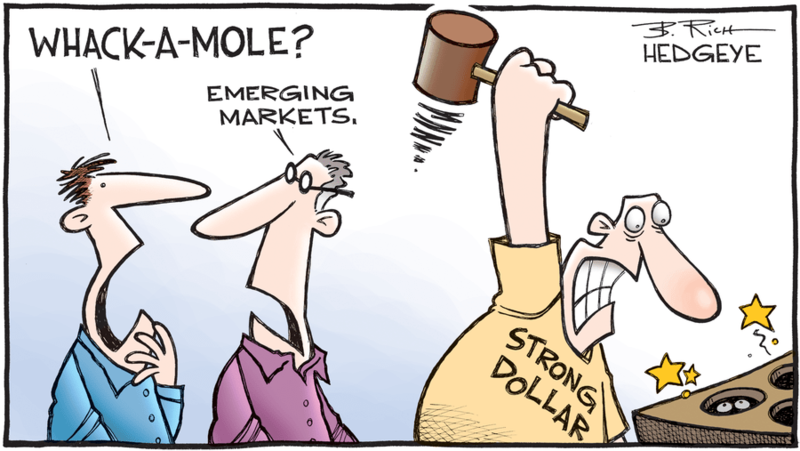 Emerging markets are now in bear markets, thus the ongoing hemorrhaging and China trade war escalations. What are Japan and the EU doing vs the US? - This fall 2018, Michael sees a likely US financial market downturn due to an ongoing confluence of events he mentions in sequence. - Current Fed QT and other factors are potentially leading to this aforementioned fall 2018 downturn. Central Bank responses could include restarting coordinated macro quantitative easing programs again, while back-slashing interest rates to zero and beyond into negative interest rate levels. What are the potential psychological affects of another global financial crisis on the mass of investors and people at large? 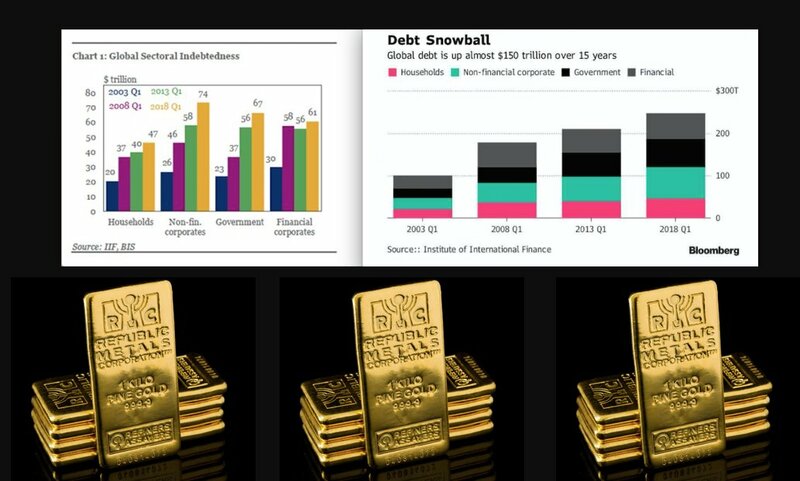 - Finally Michael hammers the point that Gold Bullion values historically performs best in falling real interest rate environments, when broad based sovereign debt defaults commence, and ultimately with failing faith in the fiat monetary system en masse.